This year’s contestants offer a little bit of everything, with focuses on craft cider, a “hub” for artists, an artisanal dairy free cheesery, leisure cyclists and a meal kit delivery service. These businesses are in stiff competition with each other. Contestants are vying to win upwards of $20,000 in cash and in-kind prizes. The awards include an “Audience Choice” with $5.00 of every ticket sold awarded to the most popular contestant. Last year’s 3rd place contestant was Georgie Donais who has a dance and aerial arts studio called Mutable Arts located in Meaford. Her pitch was to supplement the space that she is in to make it a performance location requiring lights, chairs and other enhancements. Despite her feeling she did not allow enough preparation time going into the contest, she made her way to the finals and received the Audience Choice award. To win, contestants must present to 5 local Dragons and be prepared to answer unscripted questions. For many, being grilled before a large audience and forced to defend their business idea is a challenging experience. But before they make it to the stage, there is considerable work and an evaluation process to reduce the number applying to a final five. In addition to cash winners gain a lot of publicity from just being in the contest, important if you are starting a new business. 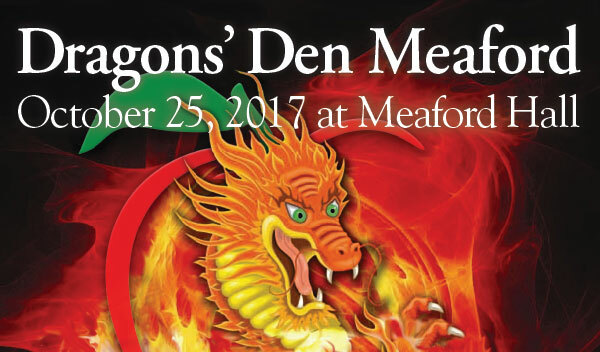 For more information about the event, contact the Meaford Chamber of Commerce.